The 16th China International Machine Tool Show (CIMT 2019) organized by China Machine Tool & Tool Builders’ Association and co-organized by China International Exhibition Center Group, will be held in Beijing China International Exhibition Center (New Venue) from April 15 to 20, 2019. At that time, CIMT 2019 will again attract global attention as the most important world machine tool event of the year. First of all, on behalf of China Machine Tool & Tool Builders’ Association and China International Exhibition Center Group, the co-organizer, let me express my warm welcome and heartfelt thanks to all friends from the media at the conference. Next, I’d like to give you an overall introduction of preparation for the high-attentioned exhibition. Since its initiation in 1989, China International Machine Tool Show (CIMT) has gone through 30 years of development with the pace of continuous opening and rapid development of China economy. With the elaborate cultivation of the organizers,the enthusiastic support and active participation of exhibitors worldwide, and the joint efforts of relevant partners and colleagues in the industry, the scale of the exhibition has been expanding, and the brand status and industry influence have been continuously enhanced. As one of the four famous international exhibitions in the world machine tool industry, CIMT is not only a grand event to show the world's advanced manufacturing technology and machine tool products, but also an important platform to promote Sino-foreign technological exchanges and trade cooperation. It is also the best window to get a close understanding of the changes in the market demand of China--- the largest consumer market of machine tool & tool. CIMT2017, which was successfully held two years ago, had an exhibition area of 131,000 square meters. 1653 exhibitors from 28 countries and regions participated in the exhibition. It attracted 126,000 visitors from 82 countries and regions to visit and purchase. The total number of visitors reached 320,000 man- times. Looking back at the past year of 2018, it was a year of dramatic increased pressure and challenges for industry enterprises. China's automotive production and sales showed a negative annual growth for the first time in 28 years, coupled with the fluctuated change amid Sino-US trade frictions, not only brought more uncertainty to the machine tool & tool market, but also brought a direct impact on the investment and business confidence of machine tool enterprises. In the new year, facing the uncertainties brought by the complex domestic and foreign economic environment and the severe challenge of downward fluctuation of the overall demand of machine tool & tool market since the second half of 2018, it is more important for enterprises to accurately grasp the future development direction for the industry. As a barometer of the market, CIMT2019 will also reflect the latest developments of the industry and market from one side. The theme of this exhibition is "Win the Smart Future Together". This theme accurately and distinctly reflects the characteristics of the times of the market and industry development of China's machine tool & tool industry, and indicates the future development trend of the industry. Asa product of the deep integration of manufacturing industry and information technology, the concept of "intelligent manufacturing" comes into being with the development of information technology and develops rapidly. With the maturity of digital technologies such as big data, cloud computing,artificial intelligence, block chains and so on, the traditional competition mode of industry is undergoing profound changes. The development trend of deep integration of AI and advanced manufacturing technology has become the consensus of global manufacturing industry. As the main battlefield of intelligent manufacturing, the machine tool & tool industry is facing profound changes in all directions. In recent years, in the face of challenges and changes, a number of domestic and foreign machine tool industry enterprises accurately grasp the development trend of technology, timely adjust their business strategies, start from the supply side, dig deep into customer demand, and develop related products, thus gaining new momentum for development. The upcoming CIMT 2019 exhibition will show the new face of the machine tool & tool industry through the latest technology and products, and vividly explain the rich connotation of the theme of the exhibition - "Win the Smart Future Together". At today's press conference, we will mainly introduce the following three aspects:pavilions, exhibitors and exhibits; the international exchanges and industrial activities during the exhibition; and the safeguards and services of the exhibition. CIMT2019 will use all eight indoor pavilions (E1, E2, E3, E4, W1, W2, W3, W4) and six temporary pavilions (E5, E6, E7, E8, W5, W6) of China International Exhibition Center (the New Venue), Beijing, with a total exhibition area of 142,000 square meters. Up to now, more than 1700 machine tool & tool manufacturers from 28 countries and regions have participated in the exhibition, including 874 overseas exhibitors and 838 domestic exhibitors, each accounting for about 50% of the exhibition area. The scale of the exhibition has reached a new record. Famous machine tool & tool manufacturers around the world will bring their latest technology and products to the scene. Among them, machine tool associations and trade promotion agencies from 13 countries and regions including Czech Republic, France, Germany, India, Italy, Japan,Spain, Korea, Switzerland, United Kingdom, United States, Taiwan region and Hong Kong region will participate in the exhibition. In order to maximizely guarantee the participation of exhibitors, visitation of visitors, effect of the exhibition and to collectively display the hot spot product technologies in the industry, exhibition organizers will be on the past exhibitions’ basis to continue using the combination of national exhibition groups and exhibits classification to arrange exhibition by cross-distribution of domestic and foreign exhibition areas. At the same time, professional exhibition areas such as forming and laser processing machine tools, industrial robots and automation, as well as tool/fixture/tool grinding and the like will be set up,and exhibitors from home and abroad are mixed to display and compete on the same platform. In addition, special achievements exhibition area of NC machine tools, application exhibition area of NC-Link and window of colleges &universities exhibition area are set up to strengthen and promote exchanges and cooperation among all parties involved in production, teaching and research of machine tools industry. According to the latest statistics, the level of exhibits and the coverage of varieties and specifications are innovative. Tens of thousands of exhibits include mainframe, CNC system, and functional components, measuring instruments,machine tool’s electrical appliances, cutting tools, accessories and other major product categories in the industrial chain. The main products include metal cutting, metal forming, special processing, coordinate measuring machine,flame cutting and other types of equipment. Hot spot technologies such as Internet of Things, Artificial Intelligence, Robots and Additional Materials Manufacturing will become the focus of attention. Innovation is the first driving force to lead development, and also a powerful driving force to build brand. CIMT, China International Machine Tool Show, has always been an international stage for domestic and foreign machine tool manufacturers to show their innovative products and deduce their innovative capabilities. The innovations of these products are mainly embodied in the latest breakthroughs in the direction of high speed, high precision, compound, green and intelligent, including structural improvement, function expansion and improvement, performance improvement, pleasant operation, automation operation,expansion of functional software, energy saving, environmental protection and many other aspects. At this exhibition, many new products and technologies are competing, which will attract the attention of the global manufacturing industry. Machine tool & tool market is a fully open market with increasingly fierce competition. In order to stand out in the fierce competition, focusing on the user service field, deeply ploughing user's production process needs, and providing customized products and system solutions to users have become an important means for enterprises to win more market share, so a number of excellent products and services have emerged. At this exhibition, a batch of customized products and system solutions to meet the user's personalized needs will be intensively displayed. Intelligent manufacturing technology is the deep integration of information technology and intelligent technology and equipment manufacturing process technology. It is an important development direction of world manufacturing industry in the future.Intelligent machine tools are the basis of realizing intelligent manufacturing.Intelligent technology of machine tools will reach a level that traditional control technology has not achieved in terms of quality, efficiency, efficiency and safety. These intelligent technologies take equipment function, control system and software, detection device and manufacturing process expert system as carriers becoming a new commanding point for enterprises to participate in market competition. In this exhibition, a batch of intelligent machine tools with various intelligent technologies will show their elegance. Industrial Internet of Things (IIoT) is the application of the Internet of Things in the industrial field. It applies perception technology, communication technology,transmission technology, data processing technology and control technology to all stages of product design, manufacturing, ingredients, warehousing and after-sale. By realizing the digitalization, intellectualization and networking of production management and control to achieve the goal of improving manufacturing efficiency, improving product quality, reducing product cost and resource consumption, and ultimately to lift traditional industry to a new stage of intellectualization. In this exhibition, the audience will be able at short range to feel the latest achievements of global machine tool & tool enterprises in the field of digital technology and interconnection technology. Additional material manufacturing technology combines the advantages of high-tech of computer graphics processing, digital information and control, laser technology, electromechanical technology, material technology and so on. It can quickly produce parts with arbitrary complex shapes, solve the processing problems of some difficult-to-process materials and structural complex parts to shorten the manufacturing cycle, and has a good application prospect in aerospace and medical fields. At the same time, the extensive attention of governments, research institutes and enterprises all over the world has also promoted the rapid development of augmented material manufacturing technology.In recent years, the progress of material-adding manufacturing technology is mainly embodied in the thiner layer of metal laser deposition, faster shape-forming, higher strength of polymer materials, composite application of increasing and decreasing material processing, etc. At that time, a batch of materials added manufacturing technology and equipment representing the advanced level will appear at the exhibition. On the morning of April 14, the host of the exhibition, China Machine Tool &Tool Builders’ Association, will hold "International CEO Forum on Machine Tool Manufacturing Industry 2019" in Beijing. The forum has invited representatives of machine tool associations of United States, Germany, Japan and well-known enterprises of China's machine tool industry, focusing on the direction of integration, interconnection and intelligent manufacturing. At that time, 150 entrepreneurs in the global machine tool industry, entrepreneurs in the user field, some experts, scholars and media representatives will participate in the forum activities. April 15-16, the “Symposium on Application of Domestic CNC Machine Tools 2019” will be held in Beijing. The conference will be organized and sponsorzed by the China Machine Tool & Tool Builders’ Association and the China Military Technology Association for Peaceful Utilization, entrusted by the National Development and Reform Commission, the Ministry of Industry and Information Technology, and the National Defense Science, Technology and Industry Bureau. The meeting will inform the current situation and relevant supporting policies,industry development and demand status, issue the recommended catalogue of domestic high-grade CNC machine tools, the special achievements of CNC machine tools, and the demand guide of CNC machine tools, to further clarify and refine the evaluation requirements of the application effect of CNC machine tools. To inspect the latest development of CNC machine tools industry at home and abroad will promote in-depth exchanges between supply and demand by visiting the CIMT 2019 machine tool exhibition and CNC machine tool fair. At that time, more than 80 defense and military enterprises and 50 machine tool manufacturing enterprises will attend the forum. Entrusted by the Equipment Industry Department of the Ministry of Industry and Information Technology, China Machine Tool & Tool Builders’ Association will hold the 9th CNC Machine Tool Special Achievements’ Display in the same period of the exhibition. This special display will mainly use image-text mode to publicize and display the achievements in basic research and high-tech &new product development since the implementation of the special display. It will play a positive role in understanding the progress, achievements and applications of the special display from all walks of life by displaying application cases in key areas. At present, NC-Link (Interconnection Communication Protocol Standard) being a special research achievement of Intelligent Manufacturing, “NC Machine Tool Interconnection Protocol Standard and Test Verification” developed by China Machine Tool & Tool Builders’ Association with its industry enterprises,has entered the practical application stage. The development of this NC-Link establishes a set of unified standards for the interconnection and interoperability of CNC machine tools in China. It will certainly bring great promotion to the construction of intelligent factories, intelligent workshops and the promotion of intelligent production in China. In order to show the research and application results of NC machine tool interconnection standards in China, China Machine Tool & Tool Builders’ Association will organize special participants to promote NC-Link interconnection communication protocol standards at CIMT 2019 machine tool exhibition. In order to promote technological exchanges and cooperation between enterprises and universities, and promote the transformation and upgrading of the industry,this display will continue to set up the special display area of "Educational Institution Showcase ". 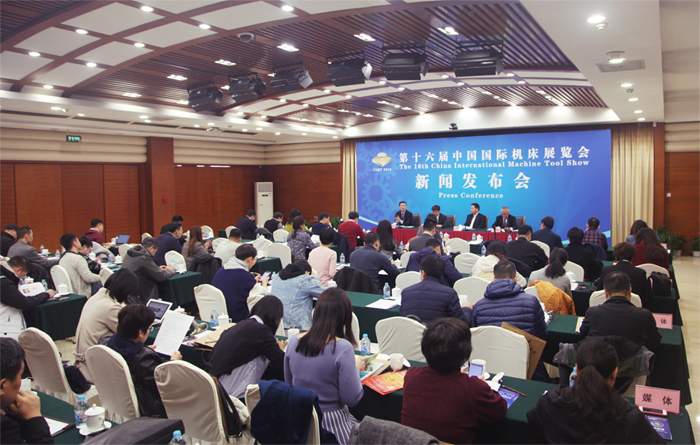 Five domestic universities, including Tsinghua University, Tianjin University, Nanjing University of Technology,Dalian University of Technology and Dalian University of Technology, will show their cutting edge and practical machine tools, tools and manufacturing technology. 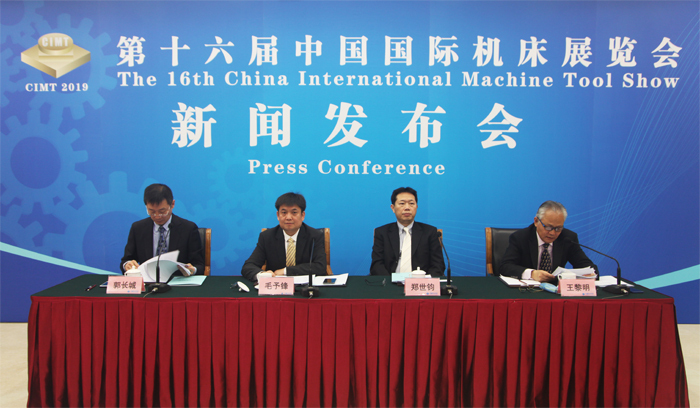 China Machine Tool & Tool Builders’ Association will hold a Forum on International Business on the morning of April 17. The Forum is a platform for overseas M&A experience exchange for industry enterprises, aiming at promoting enterprises in the industry to accelerate the pace of transformation and upgrading and enhance brand influence through the implementation of transnational business strategy. Experts from the United States, India,Indonesia and Europe will be invited to present information on global and regional markets, opportunities & challenges facing Chinese enterprises in international operations, and the advantages of global machine tools and parts supply platform. At that time, the forum will also arrange some Chinese enterprises to exchange relevant experience. In order to reflect the achievements of member enterprises in technological innovation and quality improvement, China Machine Tool & Tool Builders’Association has carried out the evaluation of "top 10 independent innovations" and "top 10 product quality" in machine tool industry in 2018. At the same time, in order to show the development level and strength of the industry to recommend excellent enterprises to the user industry and overseas industries, the Machine Tool Association, in conjunction with the statistical work of the annual report, has simultaneously launched the evaluation work of "Top 10 Comprehensive Economic Benefit" and"Top 10 Products Export" in the industry in 2018. The final results of the four "Top 10" will be announced at the award ceremony held at the exhibition site on the afternoon of April 15, 2019. On April 17, a joint meeting of leaders of national and regional machine tool associations (Networking Party) will be held in W Town, Beijing. More than 20 representatives from 16 national and regional machine tool associations are expected to attend the meeting. The conference will exchange information on machine tool production, consumption and market in various countries and regions. After the meeting, there will be more than 100 people from overseas machine tool associations, trade promotion organizations and related exhibition organization to interact, exchange and communicate. The exhibition will provide a large number of technical exchange seminars to the audience to maximally enrich their experience, while meeting the publicity and promotion requirements of exhibitors. Up to now, the organizers have received 76 technical exchange lectures from 47 enterprises, including 56 lectures from overseas enterprises and 20 from domestic enterprises. Through the unremitting efforts of the organizers, the level of informationalized service of this exhibition has been improved. Audiences can do pre-register through websites, Wechat and other ways. Intelligent self-help machines are installed on the site to achieve efficient admission. At the same time, the communication facilities of the exhibition hall have been upgraded, mobile phone calls and Internet signals have been expanded, and free WIFI connections have been set up in entrance halls and corridor. In order to provide more convenience for visitors, we have added the micro-web page and electronic edition of the Journal "Small Assistant to Watch Exhibition" to the subscription number of the Association's Wechat. The organizers have set up a "news center" in the pavilion. It possesses hardware equipment such as Internet access and fax machine, and provides the latest publicity information to facilitate the media's publicity and reporting work. It will also receive contributions from exhibitors to report the latest information on exhibition and exhibits. Qualified manuscripts could be published on websites, Wechat, Exhibition Daily and other media platforms organized by China Machine Tool & Tool Builders’ Association. In particular, the organizers set up a Trade & Liaison office located inside the marketing department office on the second floor of East Corridor, to provide docking and communication services for user groups in key areas. In order to ensure the security and fire safety of the exhibition, the main organizer, under the guidance and supervision of the Beijing Public Security,Fire Control and Safety Supervision Department, will carry out various work of exhibition arrangement, construction, move-in, move-out and the like in accordance with the relevant provisions. During the period of exhibition, the organizers will arrange free shuttle bus to the exhibition venue, starting from the subway "Shaoyaoju Station".Visitors can take Line 10 or Line 13 to "Shaoyaoju Station" and to exit from G, where the shuttle bus is available to the exhibition venue directly. After coordination and efforts, the accommodation and catering conditions around the exhibition pavilion have been gradually improved. At the same time, locations of free water and temporary restaurants will be added in the exhibition pavilion to provide more convenient and pleasant services. Guests and friends of the press: Since its inception, CIMT has been developing and strengthening with China's machine tool & tool industry. It has played an active role in promoting the technological progress of China's machine tool& tool industry and strengthening foreign exchanges and cooperation. Facing the complex and changeable external market environment, China's equipment manufacturing industry based on machine tool & tool industry has also received more and more attention. At the end of 2018, the Central Economic Work Conference took "Promoting the High-quality Development of Manufacturing Industry" as the priority task to be done in 2019, which reflected the great importance attached to the development of manufacturing industry at the national level. At the two sessions to be concluded, the current value-added tax rate of manufacturing industry will be reduced from 16% to 13%. These measures have strengthened the confidence and determination of the majority of machine tool industry enterprises to strive hard and revitalize the industry. Asa global exhibition with the concept of integration and openness, CIMT2019 will closely adhere to the era background of world economic and technological development, serve exhibitors and audiences at all levels with the"win-win integration" platform thinking, and actively promote the effective integration of all parties in the fields of production, learning,research and application. As the organizer of CIMT, China Machine Tool &Tool Builders’ Association will adhere to the concept of industry integration and win-win development to strengthen international exchanges and cooperation,to constantly promote the technological progress and development of the industry. We have reason to believe that CIMT will continue to help the development course of China's machine tool & tool industry from large to strong under the care, guidance and support of relevant government departments, the enthusiastic participation of exhibitors at home and abroad, and the close cooperation of partners. In April this year, let's get together in Beijing. CIMT 2019 will welcome the world's guests and friends with a new look. We also warmly welcome all journalists and friends to actively publicize, interview and report on this exhibition. I wish all journalists and friends good health and smooth work!